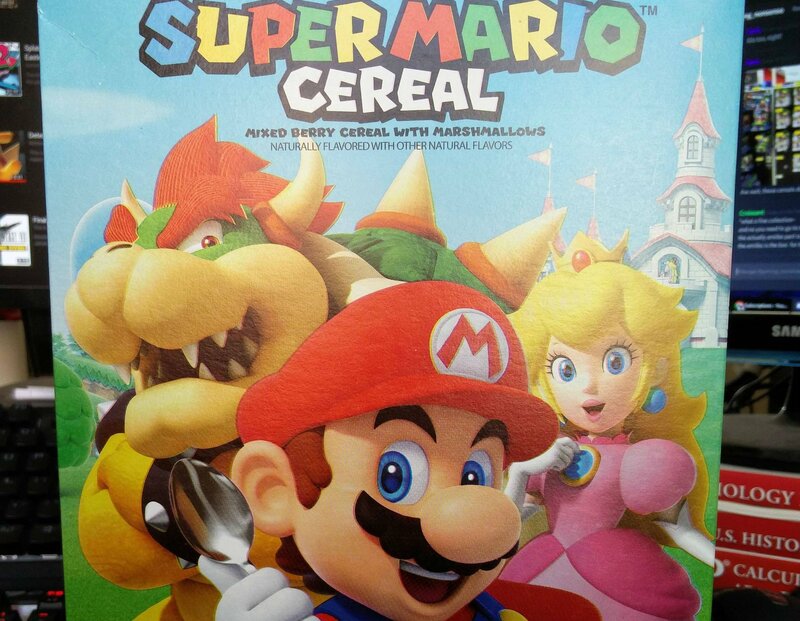 Earlier this year Nintendo debuted a special "Super Mario Cereal" line, which featured a red box and amiibo support. Said amiibo support was by way of a chip inside of the box, and when scanned, registered as a "tasty amiibo," and granted Mario Odyssey players extra coins and hearts. It was really tough to find at first but eventually started saturating the market, even appearing on Amazon Pantry, but that ship may have sailed according to one Redditor's finds. Now it seems like the same exact cereal is hitting the shelves without the amiibo chip, simply labeled as the same Super Mario Cereal line. We've reached out to Nintendo for more information, but for now, consider picking up the red amiibo box if you still need it.